Winter, meaning Sami Winter, meaning the weather, meaning the season. Maybe all of the above, but any way you look at it we are entering a magical time of a year. This is the time of year in endurance sports to take a small break (and I do mean small) and focus on life and resetting your mind, body and soul. This small break should last 2-3 weeks and perhaps more if you have had some tough challenges during the year, but even these 2-3 weeks can contain some movement. Sitting is the new “evil” and sitting on your bootie all day does nothing for your bootie. Your dogs might like it if they can sit and get petted, but they can go for a fun walk too. 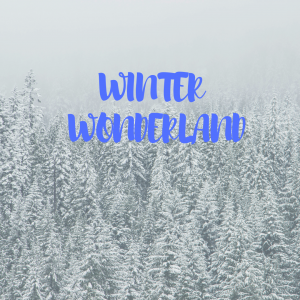 After your time of re-discovering some other parts of you it’s time for the Winter Wonderland. Here is where you, no, we can get some great work done for the upcoming season. Here is where we can make training have a purpose, but be just a tad bit different and exciting. All fun training, but with a purpose. Working in specific way to make you the best endurance athlete for 2019, so that you can reach your goals. One of my favorite “Sami’isms” is “Consistency is King!” Consistency begins by setting up good habits for the big training blocks ahead. Consistency begins now for achieving those big goals during the season. It is a truism that strong work during the Winter Wonderland will pay huge dividends for your season. It’s a beautiful sight watching athletes shine so bright and training in our Winter Wonderland.